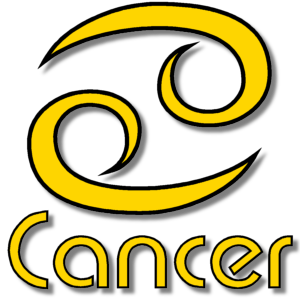 Add your Cancer star sign symbol to your Facebook or Twitter profile image. Cancer - The Crab - June 22nd - July 22nd. Cancer is the fourth astrological sign of the Zodiac. People born with the Sun is in Cancer are known as Cancerians. The Cancer zodiac period actually begins at the moment of the northern summer solstice.